Xiaomi released its mid range Mi 5X phone with a decent dual camera setup last month with MIUI 9 . It was a turn down that the phone was only available in China . But today a tweet announces some pretty exciting news related to the device! 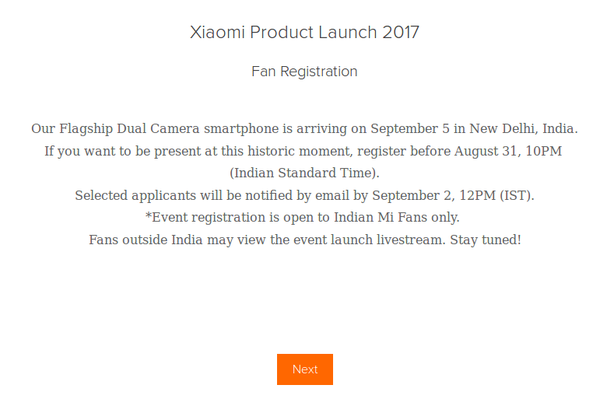 Apparently if you are a Xiaomi fan/user you can register yourself for the event here . 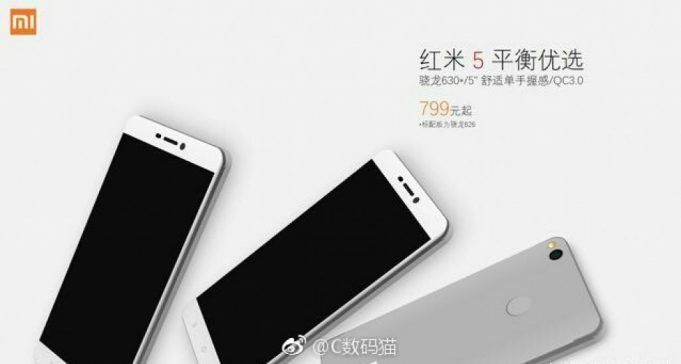 We speculate this device to be either the Mi 5X or the Mi 6 which are not yet available in India but given that both has same camera setup used, Mi 5X is most likely to be launched! Related Leaks : Lets talk what we know about the Samsung Galaxy Note 8! Previous article2018 Models of Samsung Galaxy A phone might sport infinity displays! [Update 2] Samsung Galaxy S9 and S9+ get FCC Certification.